New York legislature has passed a medical marijuana bill today and Governor Andrew Cuomo has already pledged his support to sign it! After a lengthy, emotional debate, the Senate voted 49-10 to approve the bill, which would authorize marijuana for therapeutic purposes for patients with serious diseases or conditions like cancer, AIDS, and epilepsy. Medical cannabis program is due to be up and running within 18 months. 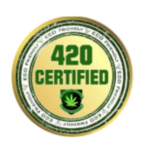 This includes the legalization of medical cannabis concentrates extracts in the state. This comes a week after New York state also legalized industrial hemp which also passed with flying colors. This is a very bright hopeful day for many people in New York who desperately need safe access to their natural alternative medicine of choice that works the best for them without any harmful side effects. This is a new, untapped, and potentially billion dollar market for the state that will create jobs and tax revenue. North Carolina House cleared a bill allowing cannabis oil for the treatment of childhood epilepsy. Parents high-fived each other upon hearing the news. The bill now heads to the Senate for approval. This is a great small step in the right direction opening doors for expansion on the states medical marijuana program in the future. The United States Senate could follow the House in blocking the Drug Enforcement Administration (DEA) from targeting medical marijuana in the now 23 states where it is legal, according to a Senate amendment introduced by Sen. Rand Paul (R-Ky.) on Wednesday. Maybe once more than half of the United States have legalized recreational and medicinal cannabis the government will finally decide to reschedule the drug. At the appropriate place in title II of division A, insert the following: Sec. __. None of the funds made available under this Act to the Department of Justice may be used, with respect to the States of Alabama, Alaska, Arizona, California, Colorado, Connecticut, Delaware, District of Columbia, Florida, Hawaii, Illinois, Iowa, Kentucky, Maine, Maryland, Massachusetts, Michigan, Minnesota, Mississippi, Missouri, Montana, Nevada, New Hampshire, New Jersey, New Mexico, Oregon, Rhode Island, South Carolina, Tennessee, Utah, Vermont, Washington, and Wisconsin, to prevent such States from implementing their own State laws that authorize the use, distribution, possession, or cultivation of medical marijuana. 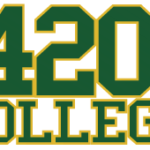 Stay tuned to 420 College for more updates on the latest hemp and cannabis news across the country as it happens! Want to learn more? Enroll in one of our CannaBusiness and Cultivation two day seminars near you! Want help opening your own legal medical cannabis safe access collective? Find out how we can help!